Nirvana Legal Solutions is a leading personal injury lawsuit financing company providing financial assistance to lawsuit plaintiffs all across America. If you are presently involved in a personal injury lawsuit, civil litigation, or insurance claim, we can provide you with legal financing from $1,000 to $500,000 within 24 hours. It is not uncommon for lawsuit plaintiff to experience money problems and financial emergencies during the litigation process. Lawsuits can take a long time to settle and come to a final conclusion. During this time, many lawsuit plaintiffs have difficulty paying their ordinary living expenses and other financial obligations. Lawsuit financing is designed to help lawsuit plaintiffs stay financial afloat and meet their obligation while they are going through the legal process. Nirvana Legal Solutions offer lawsuit financing from $1,000 to $500,000. Since legal funding is considered a safer and easier alternative to a conventional bank loss, the settlement advance that we provide is risk-free. There is no credit check, no up-front fees, and no monthly payments. 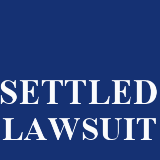 Best of all, you pay back the lawsuit funding only if and when you win your lawsuit or settle your case. 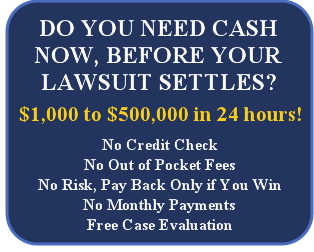 Lawsuit financing is simply a no-risk and non-recourse cash settle or win your case. Lawsuit financial assistance can help injured plaintiffs survive financially until their claim is successfully resolved. Qualifying for legal funding through Nirvana Legal is easy. If you have been injured in an accident that was not your fault, have an active claim or lawsuit, and need cash for settlement, then Nirvana Legal can offer you law cash now, which you only have to repay when your settle your lawsuit against the insurance company or defendant. Legal funding has helped saved thousands of lawsuit plaintiffs from low ball settlements, repossession, eviction, damaged credit, and even bankruptcy. Once you are approved for lawsuit financing, you can use the money for anything your need. 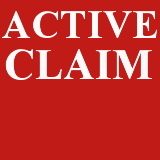 Most plaintiff and potential plaintiffs have used the lawsuit advance to pay their rent, car payment, child care expenses, tuition, insurance, or mortgage. You can use the law cash for anything you wish, it's your money. Applying for lawsuit financing from Nirvana Legal Solutions is fast. To get approved for our legal finance program, all you have to do is fill out our short form online application or call us toll-free at 1-888-715-8701. A friendly and experienced legal finance specialist is ready to assist you right now. <="" span="">Legal funding is a viable option to accident claimants who want to borrow against their expected settlement and repay the money only when the claim has been won and the settlement money is dispersed. Don't settle your claim for a fraction of what your lawsuit is really worth simply because they can't afford to wait. Nirvana Legal Solutions will give you cash for settlement today, to pay their bills, feed their families, and keep a roof over your head! Nirvana Legal Solutions is a national lawsuit funding company. We offer a wide range of legal funding products to lawsuit plaintiffs who are going through the litigation process.We provide auto accident lawsuit loans, settlement advance for insurance claims law cash for settled litigation, lawsuit settlement funding for commercial cases, car accident loans, bus accident lawsuit advance, premises liability lawsuit settlement funding, and medical malpractice settlement loans. If you’re ready to apply for legal financing with Nirvana, you won’t find a process that is faster, easier and more customer-friendly. Nirvana Legal Solutions is straight-forward with no up-front fees. All we require is that your attorney is involved in the process and signs the agreement. 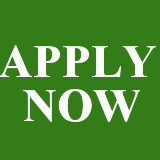 To start your free application simply begin by filling out the short-form online application. 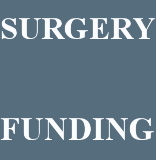 Nirvana Funding is full service funding lawsuit company. Settlement funding is commonly referred to as lawsuit cash advance, pre settlement loans, loan on settlement, auto accident lawsuit funding, car accident loans, accident lawsuit loans, lawsuit funding, insurance settlement loans, and loans lawsuit. We specialize in auto accident loans, accident cash advance, surgery funding, tractor trailer lawsuit loans, car accident lawsuit funding, auto accident loans, and car accident lawsuit cash advance. If you need help staying afloat, get money for lawsuit now.